Are you thinking of joining the choir? 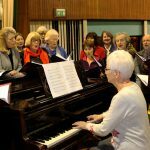 Dumfries Choral Society is a mixed group of about 80 men and women of Dumfries and Galloway who simply enjoy singing a wide range of choral music, fostering an interest in singing together, and extending the love and appreciation of music in the community. 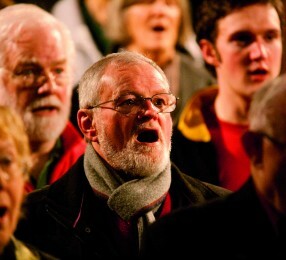 As a choir member has put it, “Those who wish to sing will always find a song”. 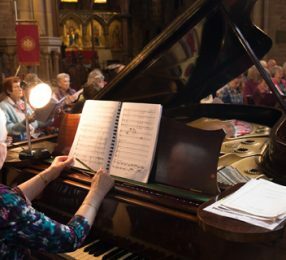 We are interested in offering our audiences a wide variety of classical music, from Jenkins and Rutter to Mozart, Handel, Verdi and Elgar to name but a few from our repertoire. 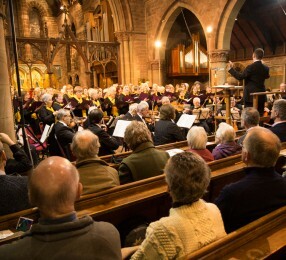 Based in Dumfries, we perform at a range of venues in the town: at Easterbrook Hall, Dumfries Ice Bowl, St John’s Church, the Crichton Church and the new Baptist Church Centre. We rehearse for three main concerts each year, with classical concerts in November and in the Spring, and a Christmas Concert of Music and Carols in December. We are fortunate to be led by our conductor and musical director Ed Taylor and accompanied in rehearsals and concerts by our highly accomplished and long-standing pianist Margaret Harvie, BEM. 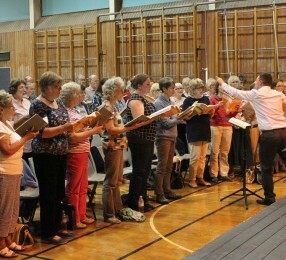 Our concerts feature professional soloists, and we try to sing with full orchestra at least every two years. Easyfundraising.org.uk helps thousands of good causes and charities raise money for free. So take advantage of this fantastic fundraising idea, and help raise money easily and quickly by joining the thousands already using easyfundraising.org.uk. 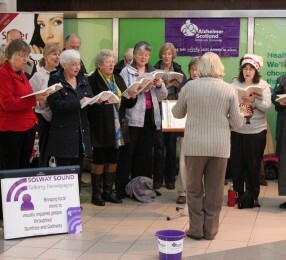 Simply make internet searches using ‘easysearch’ and raise money for Dumfries Choral Society at the same time.